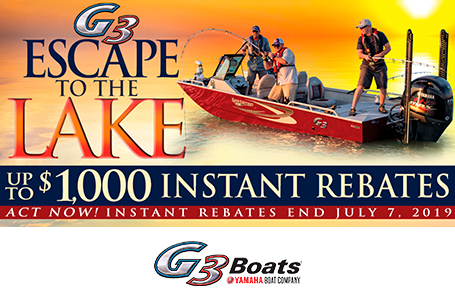 Getting to the backwater has never been easier. The ultimate angler's challenge is to "get to the fish." There are plenty of hot spots that are impossible to reach with traditional equipment. G3 jet tunnel hull models meet this challenge. 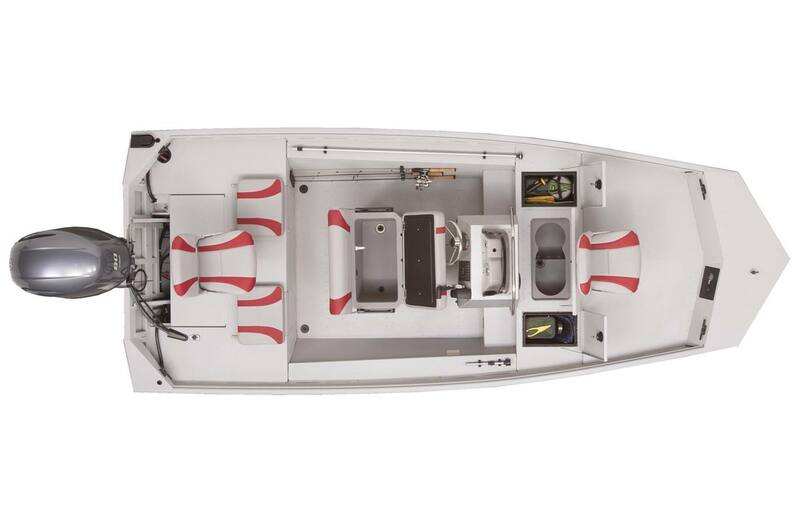 From shallow rocky rivers to inter-coastal flats fishing, these shallow running hulls can put you on the spots no one else can reach. Fish On! 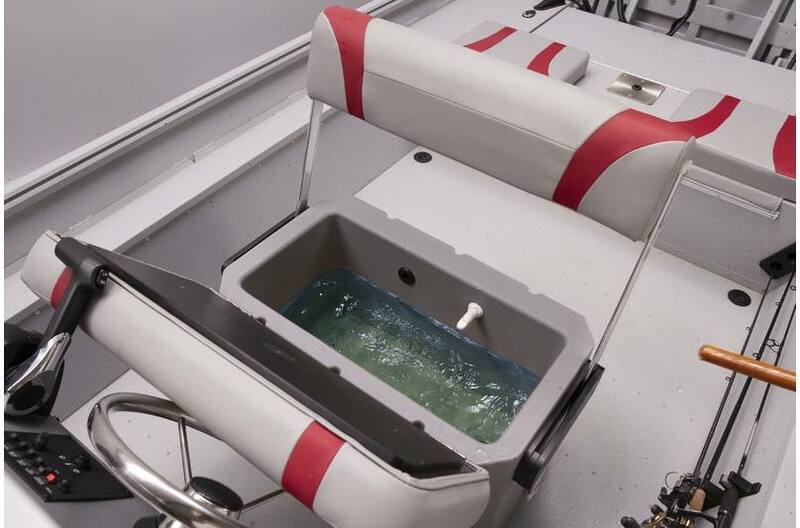 Double wide helm seat has an easy access 10" X 29", 19 gallon aerated livewell. 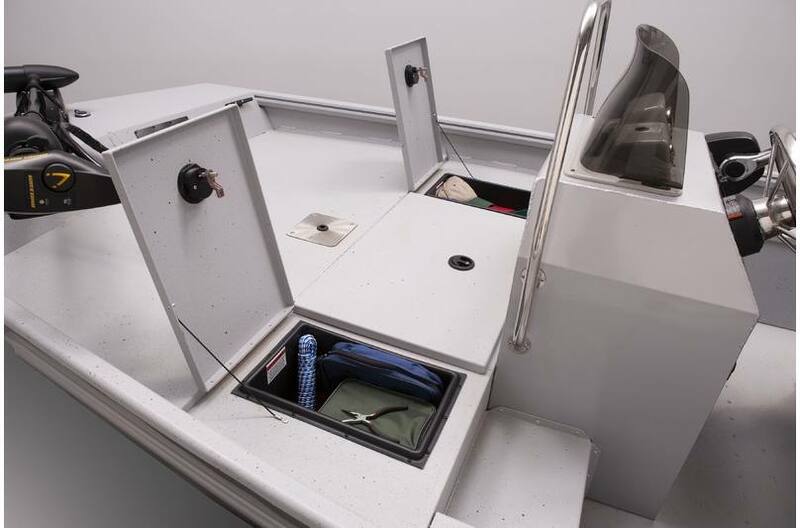 Lockable storage with compression latches flank a 17 gallon livewell. 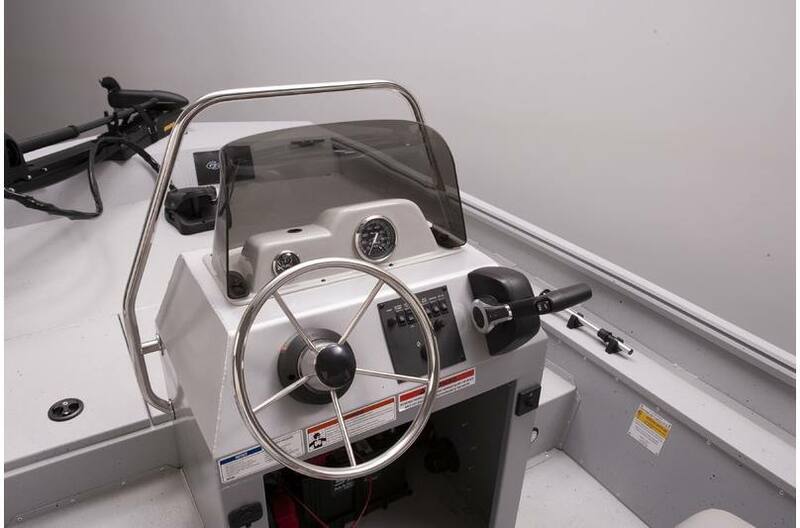 Console positioned near front deck, moves driver's weight forward, allowing the hull to run shallow and flat. 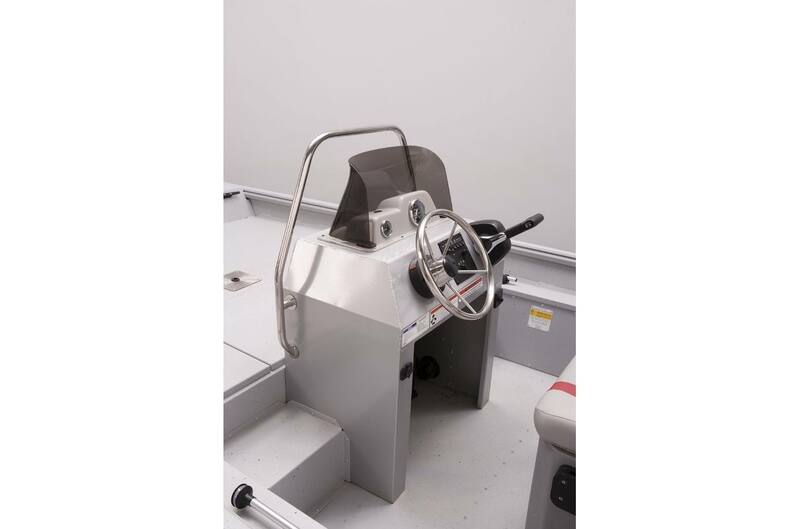 Console includes stainless steering wheel and grab rail, Yamaha controls and key switch. Boat Length: 17 ft. 1 in. Package Length: 21 ft. 2 ft.
Dry Hull Weight: 860 lb. Livewell Dimensions: 13 in. x 26 in. - 17 gal. 10 in. x 29 in. - 19 gal.